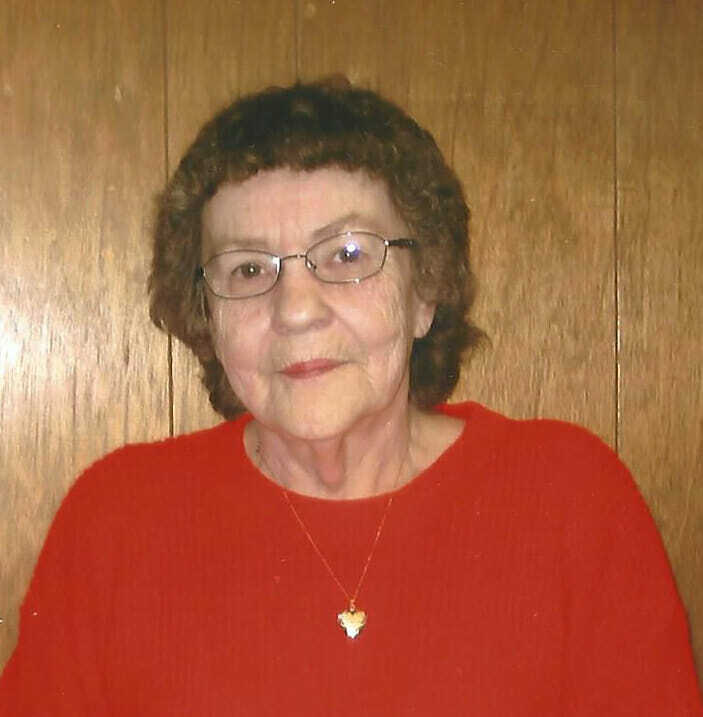 Janice M. Dockter, age 77, of New Rockford passed away Friday, November 9, 2018 at CHI St. Alexius Medical, Carrington surrounded by her loving family. Janice Marie Baerwald was born April 29, 1941 at Cando, North Dakota, the daughter of Wally and Catherine (Porter) Baerwald. She grew up in the Egeland and Cando areas and attended school in Cando. She moved to New Rockford in 1958 and on February 23, 1959 was united in marriage to the love of her life, Vernon Dockter. She worked for several years at the Lutheran Home of the Good Shepherd and did the Eddy County News on KDAK Radio for 25 years. She also babysat for many children in the New Rockford area over the years. Janice loved to go to the casino, doing word search puzzles, watching the Guiding Light (until it went off the air), talking on the phone to family and friends, and her daily ritual of reading the newspaper and drinking coffee at her table. Janice is survived by her eleven children, Ricky of Fargo, Rob (Dana) of Omaha, NE, Ronnie (Peggy) Randy, Rodney (Kim), Roger (Tara) all of New Rockford, Cathy (Greg) Gronland of Alexandria, MN, Barb (Scott) Clapper, of Fargo, Julie (Vern) Schafer, Rhonda (Todd) Dauenhauer, and Mindy (Scott) Skjerva, all of New Rockford, sisters, Melody Pederson of Ravena, OH, Kim Zeller of Hershey, PA, Sandy, Kinninson of MO and brother, Mark Baerwald of Devils Lake, 26 grandchildren, 23 great-grandchildren, one great-grandchild, beloved pet, Sophie and many brothers-in-law, sisters-in-law, nieces and nephews. She was preceded in death by her parents, step-mother, Elgie, husband Vernon on August 2, 2006, granddaughters, Alisha Sattler and Tara Kellar, special aunt who raised Janice, Alice Porter and sisters, Cheryl, Diane, and Pat, and many brothers-in-law and sisters-law. Funeral Service: Friday, November 16, 2018, at 10:30AM, in St. John’s Catholic Church, New Rockford, ND. I’m sorry for the loss of your mother. My thoughts and prayers are with you all. She will be missed by all. Thoughts and prayers to the entire family at this time. A great lady. Always had a smile. My thoughts and prayers are with all the family. Janice was a wonderful lady. My sympathy to all family members- may God be with u all in this most terrible time of sorrow! Cathy & family-So very for your loss. My thoughts and prayers are with you all in this difficult time. So sorry, thoughts and prayers for you all! Our thoughts and prayers go out to you all. She was a special lady. Rest in peace dear sistee. So glad I got to visit with you the last 2 summers! Love to all your children!! I’m so sorry to hear this. Thinking of your family. I remember Janice at LHGS. What a kind, calm lady she was. It was my honor to have crossed her path. My condolences to all of her family. All my deepest sympathy to Janice’s families. I loved working with her. She was an inspiration to everyone and will be missed greatly. Love and Prayers. Linda L.
Thoughts and prayers to all my old Doctor neighbors. I am so sorry to hear about the passing of Janice. My thoughts and prayers are with you all during this extremely sad time. My thoughts and prayers go out to all of the family. I had a lot of good memories working with Janice, she was a wonderful and caring lady. Extra long hugs and prayers to all of you. May you find peace in all of your memories. So sorry for your loss and for my delay in expressing my sympathy. I remember the visits we made to your home as kids while our Moms visited, for hours.